This is a serious subject in some circles. 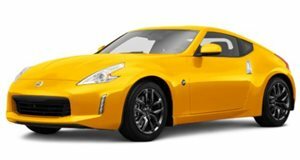 Allegedly, the next-generation Nissan 370Z could be born from the company’s partnership with Mercedes-Benz. Take this with a huge grain of salt, but rumors coming out of Japan suggest the new sport coupe could ride on a Mercedes-Benz Platform and would arrive at the 2019 Los Angeles Auto Show, just in time to celebrate the Zetto’s 50th Anniversary. claims that Nissan’s feeling some pressure to reformulate the Z following the return of Toyota’s Supra through its partnership with BMW. The rumors also claim the next-generation Zetto would source a 2.0-liter turbocharged four-cylinder from Mercedes for it base model, along with a 3.0-liter turbocharged V6 borrowed from the Infiniti Q60 kicking out somewhere in the realm of 400 horsepower, and Mercedes’ new 3.0-liter inline-six which makes 369 hp in the 2019 Mercedes CLS. There was also the suggestion of a hybrid powertrain, which would position it as more of a premium product. This actually seems like the brightest avenue for a niche sports coupe in a declining market segment. However, any move to hybridization and the included performance benefits may be treading on the GT-R's hallowed toes. claims the whole thing is all a bit of fake news. The magazine claims its own sources say Mercedes approached Nissan about twinning the SLC with the 370Z but Nissan said no because the convertible segment is dying. The buff book's smug little interjection assumes the proposed project was roadster focused which led to Nissan shrugging off the idea as laughably bad. Whatever happens, just hope that Nissan avoids the temptation to turn one of its most sacred nameplates into some kind of performance crossover built to optimize maximum velocity as it races itself over the edge of a cliff.